I read two picture books about whales. Both were narratives and told about rescue efforts to save a whale that was in danger. Although telling very different stories, both books focused on the interaction between humans and animals and showed the vulnerability of such a large creature. This story definitely pulls at the heartstrings. It is set in 1971 and Sally and her brother are walking along the dunes when they discover a beached whale. While they wait for help they try to keep the whale wet by wringing out their sweaters that they soaked in the ocean water. Others come to help, but they are unable to push the whale out into the ocean. Yolen writes beautifully, capturing the desperation of the situation and the anger and sadness Sally feels when the whale can’t be saved. 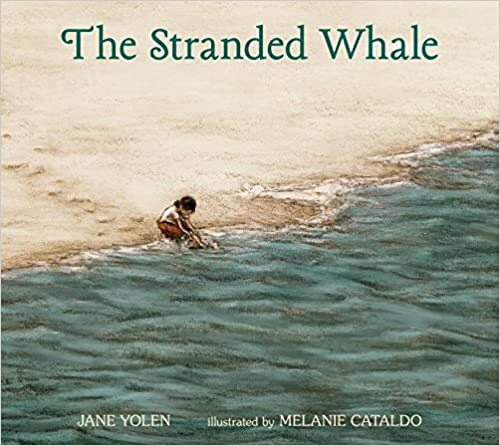 Yolen explains in the Author’s Note that the majority of stranded whales do end up dying, making this an honest and realistic tale. This is a story, based on an actual event, in which a humpback whale becomes trapped in a fishing net. Rescuers dive into the water to cut the ropes away from the whale’s body and soon the creature is free. This text is also beautifully written, sounding almost poetic. Readers will feel empathy for the whale and understand the danger the rescuers put themselves in to free the whale. The illustrations are beautiful as well. Information about the incident this story is based on and humpback whales is included at the end of the book. This picture book is divided into two parts, telling two very different perspectives of a story. In Part One, "The Strange Beast", the girl recounts how she rescued a strange beast from the woods and brought him home. In Part Two, "The Terrible Beast", the creature recounts how he was ambushed in the woods and taken to the girl’s lair. The beasts see the world differently, but in the end they are able to get along with each other. This book can start conversations about perspective and how we understand each other. Bacon seems to be everywhere these days so it shouldn’t be a surprise that bacon has ended up as the main character in a picture book. Breakfast foods and other delicacies are personified in this story that tells about Bacon, the most popular food of them all, and how the fame goes to his head. Bacon tells charming stories, plays the ukulele, and drives a fancy car, but he also forgets all about his friends. The joke in the end, depicted by an empty plate, shows what really happens to Bacon when everyone loves him. Bacon lovers will love this one. This novel written for grades three through five focuses on friendship. Trille has many adventures with Lena, his friend and neighbor, but he wonders if she really is his best friend. They have many adventures, some of which end in visits to the hospital, but are always entertaining. The story addresses other aspects of being a child – the yearning for a dad, the loss of a family member, and the sadness when a friend moves away. The story is set in Norway, where the author lives, providing a glimpse into life in another part of the world. This book has been on my to-read list for quite some time. This week I finally decided to read it since I have been asked to facilitate a curriculum meeting to help teachers understand the speaking and listening standards and align them to instruction. I thought the book would be a good starting place to grow my own understanding of the Common Core Speaking and Listening Standards and how to teach them. After reading it, I have found that is has helped me understand the shifts that are necessary in teaching speaking and listening. Palmer explains that rather than simply involve students in discussions, we have to ensure that the discussions are collaborative. There should be a purpose to the discussion and it should help to move students thinking forward. Palmer also stressed that listening is not a skill we should take for granted and we have to teach students how to do it so that they truly understand what they are hearing. Another take away from the book is the distinction Palmer makes between activities and instruction. We can provide activities that involve speaking and listening, but we won't expand students ability to speak and listen unless we provide instruction on how to be better at speaking and listening. Erik Palmer has a brief video, called Effective Communication, highlighting some important ideas related to teaching speaking and listening. This book has been useful in helping me understand the expectations of each of the six speaking and listening standards and has provided me with ideas for instruction to address each standard. Adventures with Waffles was interesting, but I agree that grades 3-5 is the target audience. 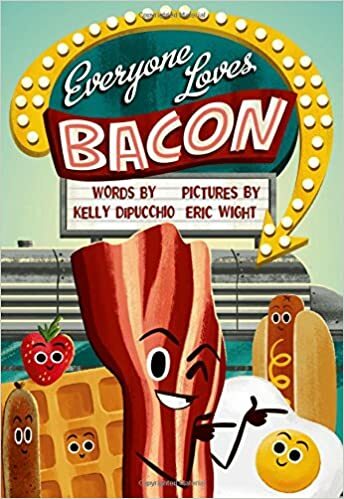 Kind of want to read the bacon picture book for no particular reason! I liked Adventures with Waffles, but wouldn't say it was one of my absolute favorites. Others have just loved it. The bacon book is good for a laugh! A Tale of Two Beasts would be a great mentor text. It's really cute and clever! 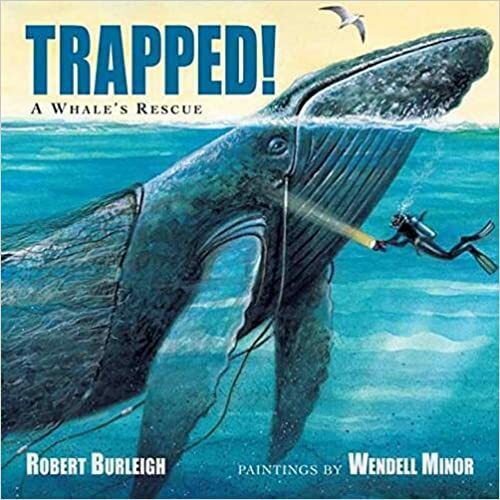 I have The Stranded Whale & need to read it, & enjoyed Trapped also. Two good books that do show humans helping as much as they can. 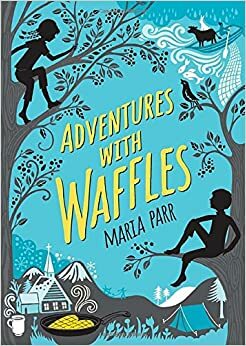 Thanks for your review about Adventures With Waffles. 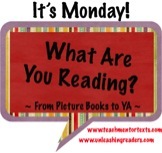 I keep trying to find more chapter books for younger students, don't know them very well. Thanks, Lisa. When you do read The Stranded Whale you might want to have some tissues nearby! It's a sad story, but Jane Yolen has such a beautiful way of writing. This looks like an interesting PD book. I'll definitely be looking for it. The bacon book is one I need to get! I've bought Trapped but it's currently MIA in all my book stacks. Eager to get to it once I can find it! 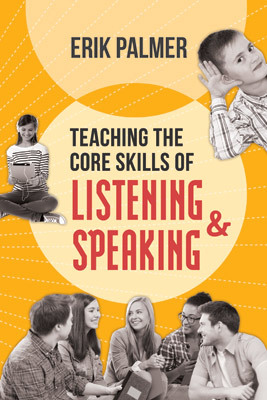 The PD book is a good intro to teaching speaking and listening. It's very practical and easy to read. I constantly have books MIA so I can relate! I'm going to see if I can find a copy of A Tale of Two Beasts. I think it will be a great writing lesson for our grade two's on perspective. Second graders will love the story! I did a double take when I saw Wendell Minor illustrate the Robert Burleigh picturebook - that's bound to be gorgeous, I'm sure. And Jane Yolen is just so prolific.